1. Save the zip file containing the post from your email to an appropriate place such as the desktop. 2. Extract the files from the zip file to a folder. This will create a folder with the files. 3. Copy and paste the post file(s) (.pst and .psb if applicable) into the appropriate ‘Posts’ folder in your Mastercam shared directories. Please note the directories below are the default directories. 4. 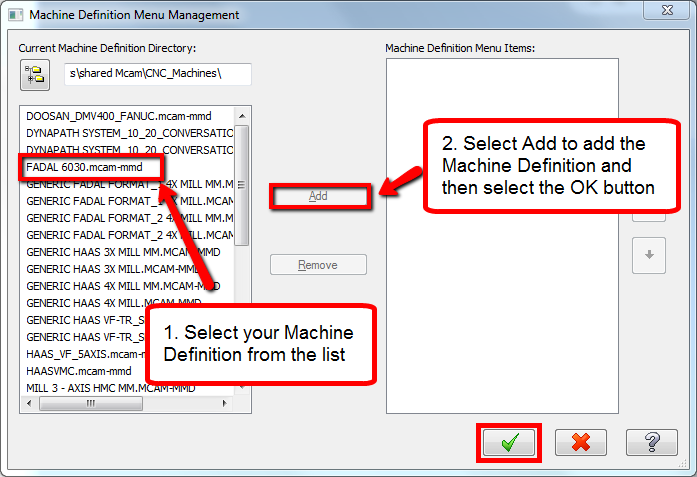 Copy and paste the machine definition (.mcam-mmd, .mcam-lmd, .mcam-rmd, .mcam-wmd) and control definition (.mcam-control) into the “CNC_MACHINES” folder of your Mastercam shared folder: C:\Users\Public\Public Documents\shared Mcam(Version)\CNC_MACHINES. 5. Go back to Mastercam and add the machine to the appropriate Machine Type list if it does not already exist. To add a machine to the Machine Type list, select the MACHINE tab. Then under the appropriate Machine Type (Mill, Lathe, Mill-Turn, Wire, Router), select Manage List from the drop down. 6. In the Operations Manager, click the “+” beside Properties and then click Files. 7. 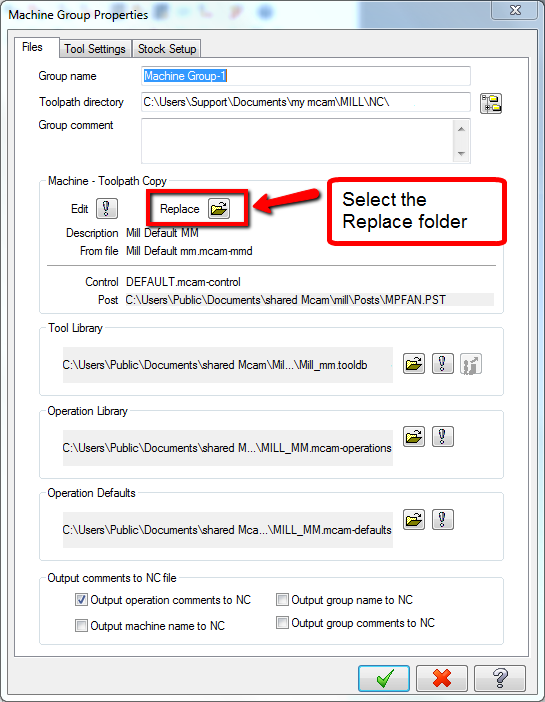 In the Machine Group Properties window, select the Replace folder. 8. 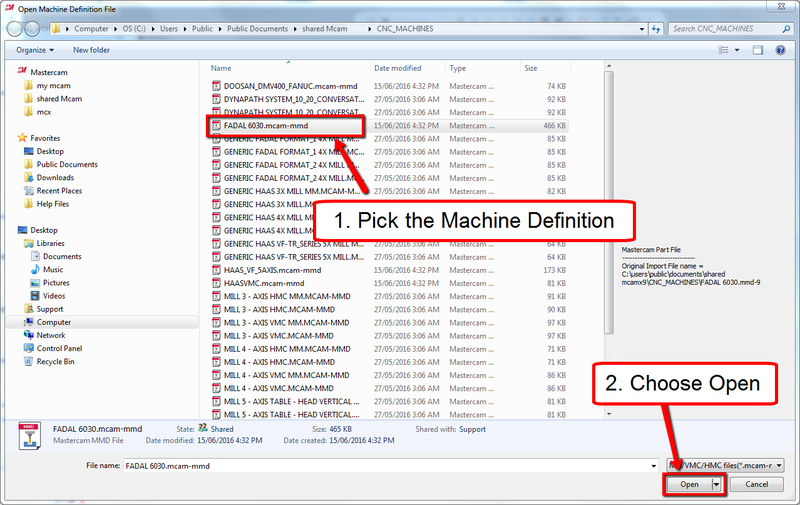 Select the machine definition file even if it is selected already.